This week's charts cover the period from January 14th to 20th. 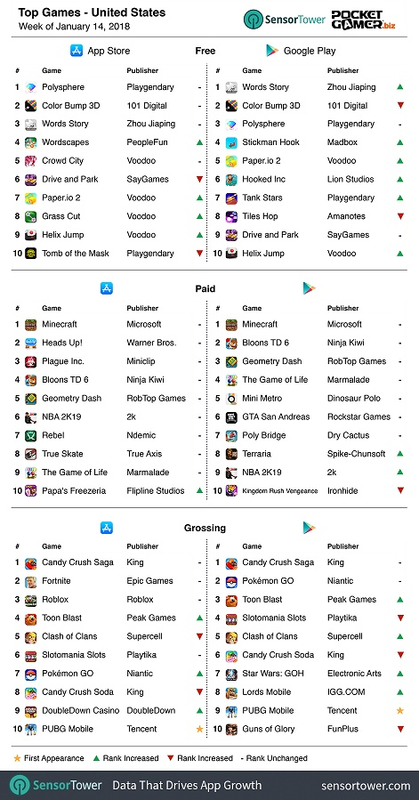 King’s classic Candy Crush Saga remained the biggest earner on both platforms this week. 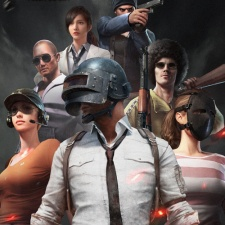 PUBG Mobile meanwhile breached the top 10 across both, placing slightly higher on Android. The paid charts remained remarkably static this week across both platforms. Over on the free download rankings, Word Story usurped Color Bump 3D on Android, while Polysphere remained on top on iOS. 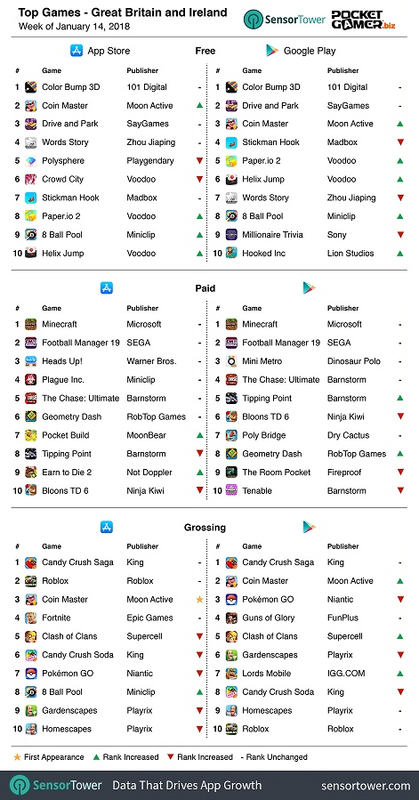 Moon Active’s Coin Master broke into the upper strata of the iOS top grossing chart this week, striking at third place while dislodging Pokemon Go on Android. The title also took second and third on the iOS and Android free charts respectively. Elsewhere, much like in the US, it was a fairly static week that saw Minecraft remain dominant in the paid charts across both platforms - positions that it has long since held. Tour of Light broke Ancient Wars’ hold on the top paid apps list this week, taking the top spot. PUBG Mobile proved harder to dislodge, keeping its place at the top of the free charts. But Party.io’s second place success proved short-lived, falling off the top 10 to be replaced by Voodoo’s Crowd City. 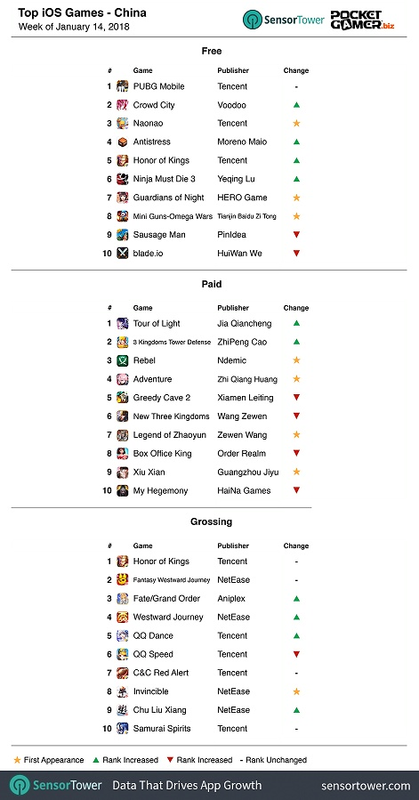 Tencent and NetEase retained their dominance of the top grossing charts. Despite a few shifting positions, the only notable change was the entry of NetEast strategy game Invincible jumping in at eighth.